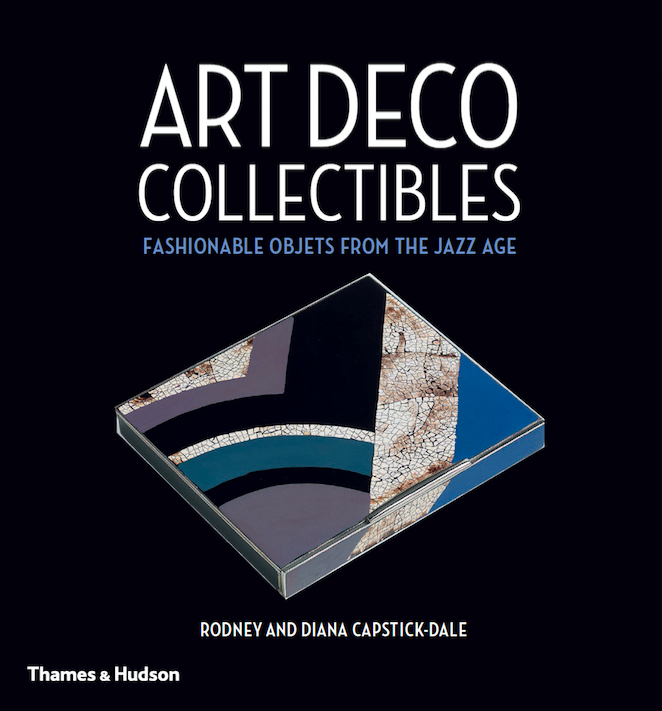 Art Deco Collectibles is THE book to have this season on your coffee table and amongst your bookshelves. Recently released by Thames & Hudson, the tome is not only a chic resources, but also is is an extensively illustrated showcase of portable classics from the United States and Europe that demonstrates Deco style at its most alluring. These stunning, small personal items, from cigarette cases and lighters to powder compacts and cosmetics accessories, watches, jewelry, even cameras, “represented the height of fashion during those heady decades, and demonstrated the excitement and modernity of the age” share authors, collectors and designers Rodney and Diana Capstick-Dale.